Colin M. Fire Down Below have stoked the still-burning embers of their stellar debut into a cosmic pyre on this superb sophomore effort. Favorite track: The Cosmic Pilgrim. FDJ There is fire down below and just about everywhere else on this superb collection of fuzz drenched grooves and doomic bluesy blusterings. Full review here …. stonerking1.blogspot.com/2018/06/fire-down-below-hymn-of-cosmic-man.html Favorite track: Ascension. Includes unlimited streaming of Hymn of the Cosmic Man via the free Bandcamp app, plus high-quality download in MP3, FLAC and more. 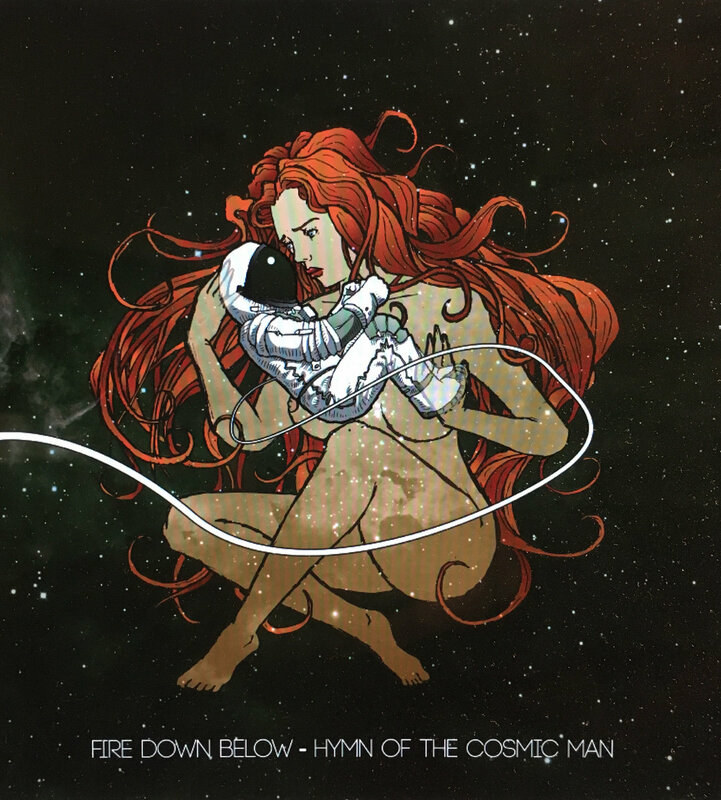 Belgium desert rock band Fire Down Below will release its new album, Hymn of the Cosmic Man, on June 8 via Ripple Music (Mothership, BANG!). The surging quartet -- once hailed as "a stoner version of Tool" -- created the LP as an outer space concept album detailing "a single soul against an unnamed threat to mankind." 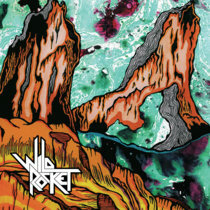 Hymn of the Cosmic Man was mixed for maximum trajectory by Brad Boatright (Windhand, SUNN O))), Bell Witch) and is the follow up to Fire Down Below's 2016 debut, Viper, Vixen, Goddess, Saint. On Hymn of the Cosmic Man, Fire Down Below trades the hot desert winds of its debut for the cold desolation of outer space. "Saviour of Man", the first track released from the album, debuts in the form of a music video which builds on the album's cosmic concept. See and hear "Saviour of Man" at this location. 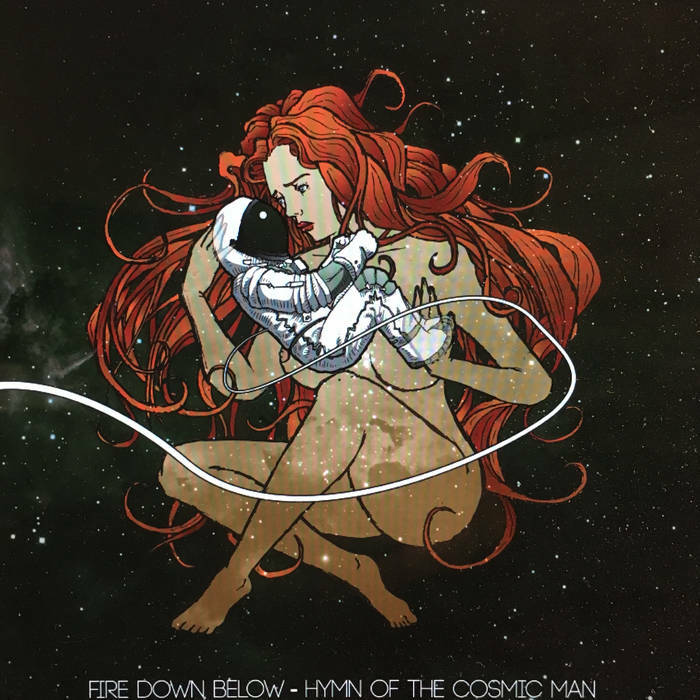 In its short, but effectual time as a band, the sound of Fire Down Below has drawn comparison to international stalwarts such as Truckfighters, Red Fang and 1000mods, and now with Hymn of the Cosmic Man, the band shifts into overdrive, building on its background while establishing its own singular identity. From the swelling, album openers ‘Red Giant’ and ‘Ignition/Space Cruiser’, to the spectacularly progressive closer ‘Adrift In A Sea Of Stars’, Fire Down Below steps up and takes flight powered by soaring riffs, surging rhythms and a skyrocketing, singular vision. Fire Down Below features Bert Wynsberghe (bass), Jeroen Van Troyen (guitar, vocals), Kevin Gernaey (guitar) and Sam Nuytens (drums). Follow the band on Facebook and Instagram.